Turmeric is an amazing root, that can be very beneficial for the body! Its origins are from India and it’s what gives curry dishes their distinctive yellow colour. It likes to grow in India because the temperatures are so warm there. It is a perennial plant there which means it comes back each year without needing to be planted again. It grows to be approximately three feet tall and has large fan-shaped leaves above the surface. The plant also produces a beautiful white or pink flower above the surface. But it is actually what is growing below the surface that people want! The root, or rhizome, is where the medicinal quality of this plant is stored. The root is harvested from the ground and washed in preparation to be used. Turmeric can be used either fresh from the garden in cooking or dried; it will not lose its beneficial qualities when it is dried. Turmeric has a distinctive yellow colour and some would assume that it makes a wonderful natural dye for fabric. But it is not very resistant to fading by the sun’s light; so many people do not use it for this purpose. However, it is widely used as a natural food colouring agent in foods like salad dressings, yogurts, prepared mustards, and canned chicken broths. Or it can be used as a natural dye for children’s play dough that doesn’t contain the harmful additives that other synthetic dyes normally used to colour play dough. These synthetic dyes have been known to cause behavioural issues in some children. People who practice Traditional Chinese Medicine or Ayurvedic Medicine have used turmeric for thousands of years in their remedies. The component in turmeric that is beneficial is called curcumin. It’s the curcumin in turmeric that can be life-changing for some people’s health conditions! People have reported that using curcumin helps reduce pain. It does this by acting as a powerful antioxidant to reduce the amount of inflammation in the body (1.) This antioxidant activity can also help the body to detoxify the harmful substances we encounter on a daily basis (2). Another amazing thing that curcumin can do is boost the brain’s ability to produce Brain-Derived Neurotrophic Factor (3), which is a hormone that is necessary for healthy brain function. People have reportedly been using curcumin and seeing benefits with conditions like depression, memory loss, and other age-related conditions. Curcumin could be considered important for the health of your heart! Along with its ability to reduce inflammation, it is also useful for helping to reduce blood pressure by improving the health of the vascular system in the body (4.) Improved heart health could mean fewer heart attacks and improved quality of life! Many people are affected by cancer. The current rates of cancer are approximately 1 in 3. It’s exciting that some forms of cancer have been shown to be responsive to the use of curcumin (5.) More clinical studies need to be done in the area of cancer and curcumin to see whether or not it could be used in cancer treatment or the prevention of cancer development. Turmeric is best used in combination with a couple of things in order for the curcumin in it to be properly utilized by the body. The first is that it is best consumed with a meal that contains a good amount of fat. This is because curcumin is fat soluble. Without eating fat alongside turmeric the beneficial components of it will be flushed out of the body before they are used. The second thing you need to properly utilize the curcumin in turmeric is a component of black pepper called piperine. It will boost the amount of curcumin in your blood so that your body can reap more benefits from this amazing rhizome! You only need a small pinch of black pepper to get the amount needed to boost the effects of curcumin in your food. No need to go overboard with the black pepper! More isn’t always better in this case. The traditional Indian knowledge of cooking their curried dishes using ghee (clarified butter), turmeric, and black pepper is very wise! All of those components are needed in order for the curcumin in turmeric to be properly utilized! Turmeric can also be used topically to help slough off dead skin cells and protect our skin’s natural microbiome. There are many ways to use turmeric topically to get its benefits! If adding Indian food to your cooking regime is too far out of your comfort zone there are supplements that you can take, in capsule form, that is just as beneficial. 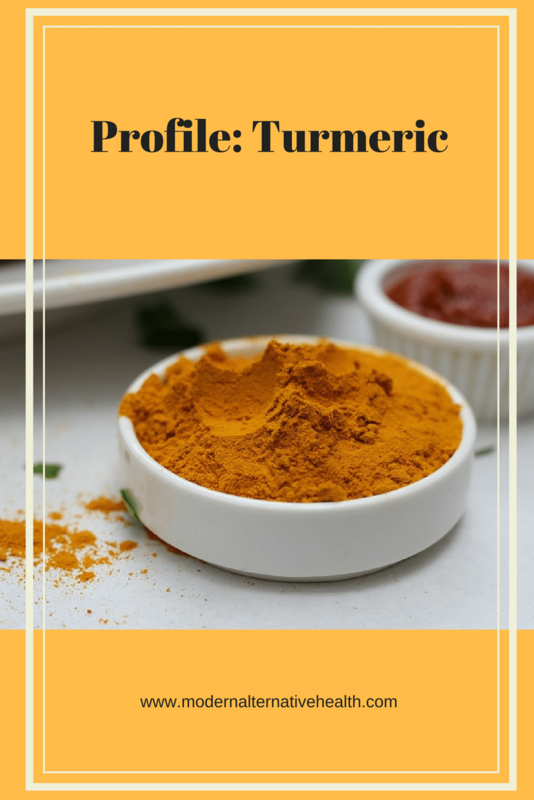 What you want to look out for here is that the turmeric was grown organically, the supplement also contains piperine and that the dose isn’t too low to gain any benefit. Also remember to take your curcumin supplement with a meal that contains a good amount of healthy fats! Another yummy way to get your curcumin is to drink Golden Milk or Turmeric Tea. They contain all of the beneficial ingredients your body needs to properly utilize curcumin. Do you like to eat Indian food? Have you used curcumin supplements and noticed an improvement in your health condition? Janine is a Holistic Nutritionist and health writer, as well as a virtual business owner. She likes to write informative articles on health topics to share her knowledge with others. She is also a mother to three amazing children whom she home schools! Very Informative post. Turmeric is used from ancient times and has many benefits. Thanks for mentioning the supplements in this article as I was not knowing about it so got to know one new thing from your post. Keep sharing such posts with the readers. Indeed, curcumin has many benefits. We should be careful in choosing curcumin supplements because not all of them are 100% natural despite their claims. There are curcumin products proven to have petrochemical-derived components. Turmeric Guru agrees. The body was designed to naturally self-heal if treated with respect. Including turmeric in your diet and as a supplement will definitely help reduce overall body pain and, according to hundreds of studies, reduce inflammation and address the root causes of many neurological issues. Read about my personal journey through autoimmune hell and recovery through incorporation of turmeric/curcumin in my diet.